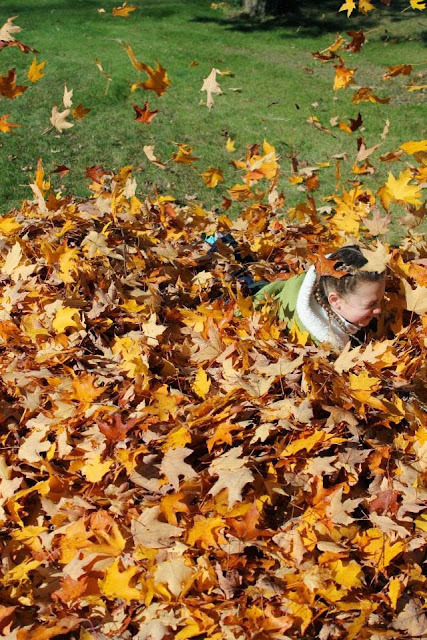 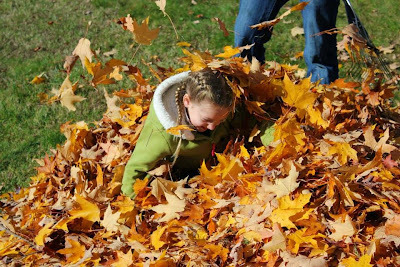 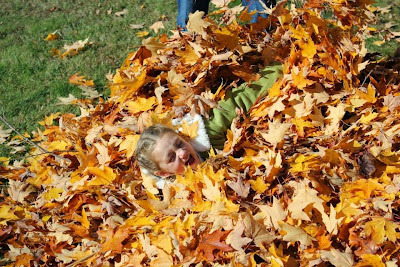 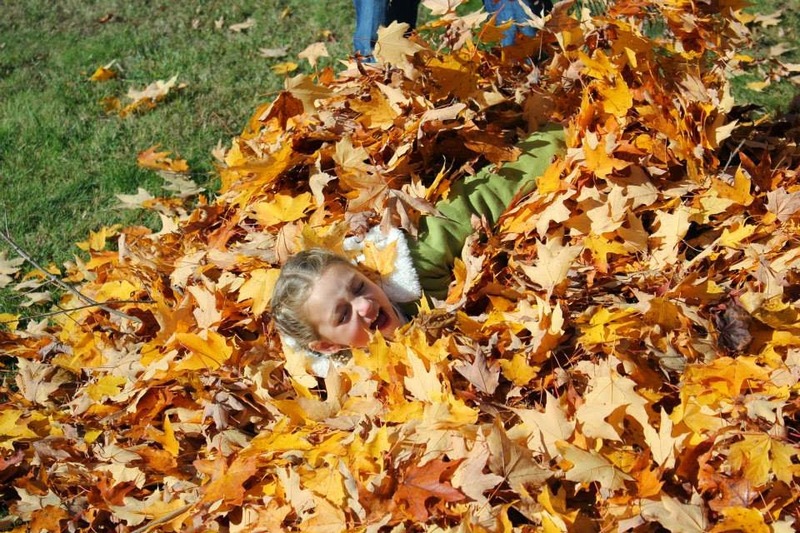 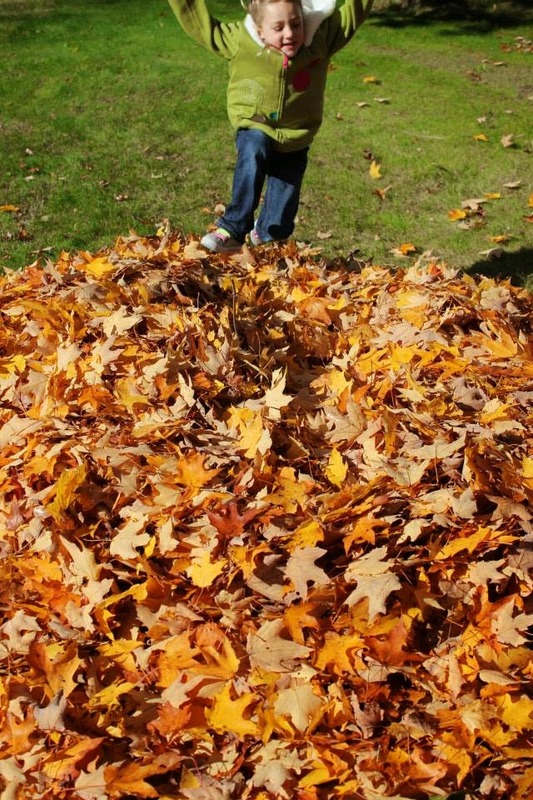 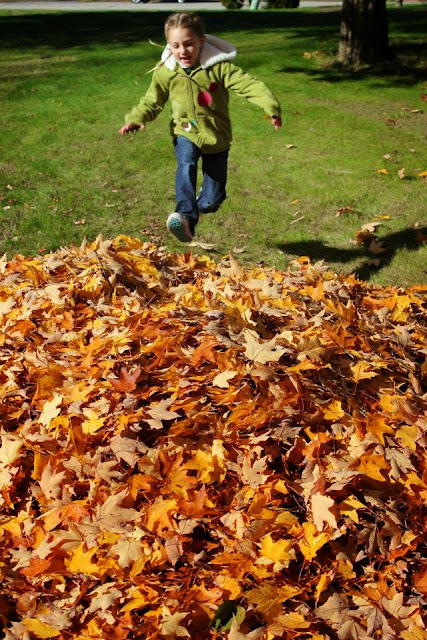 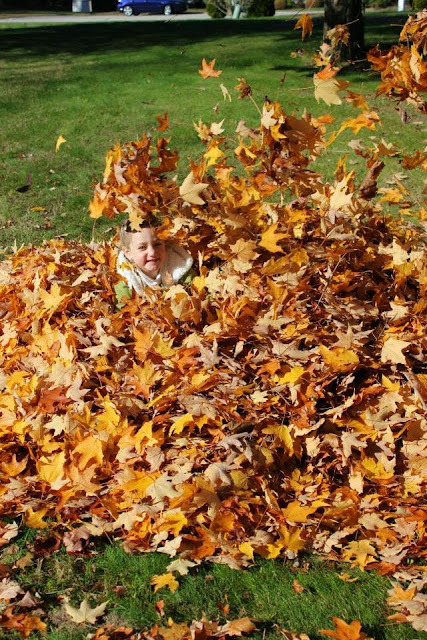 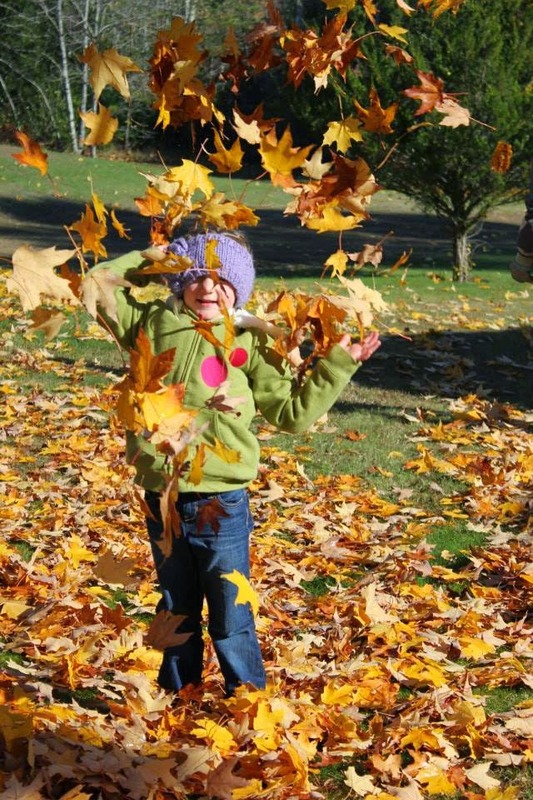 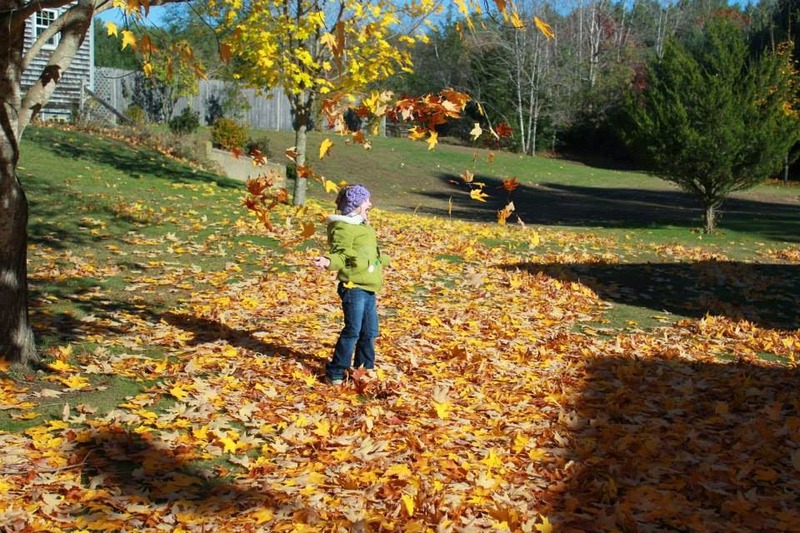 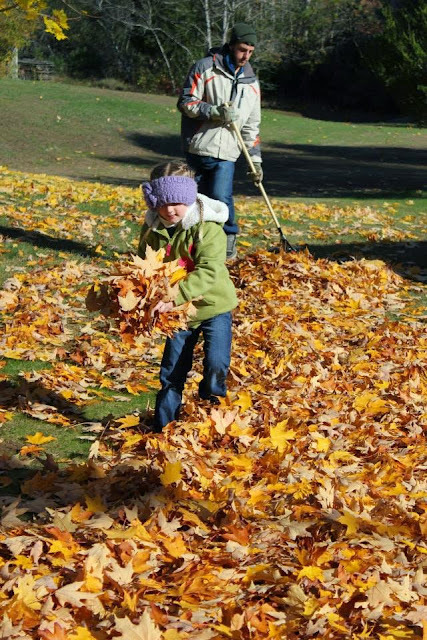 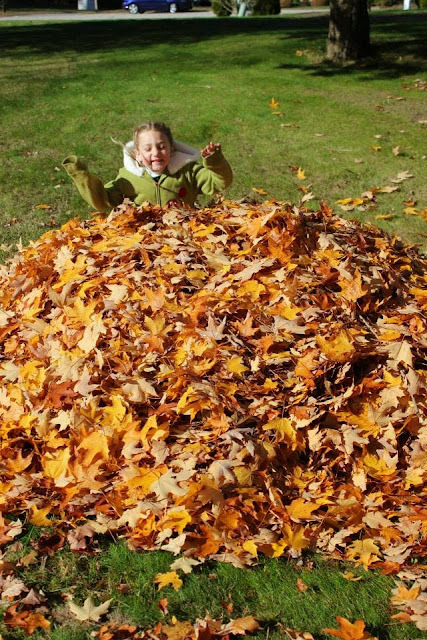 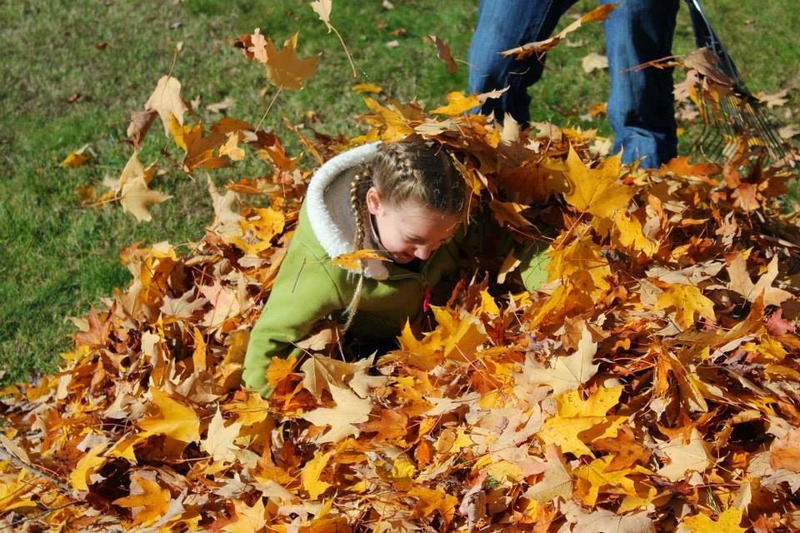 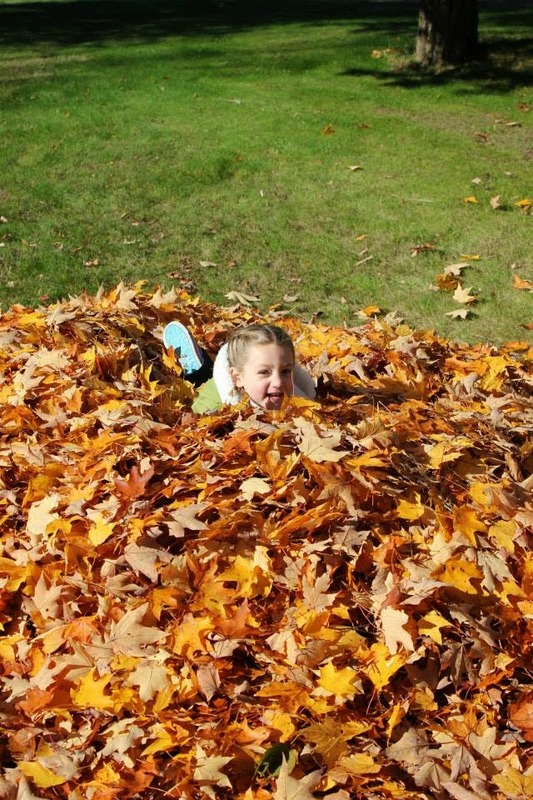 Little girl, you even make raking the leaves a spectacular adventure. 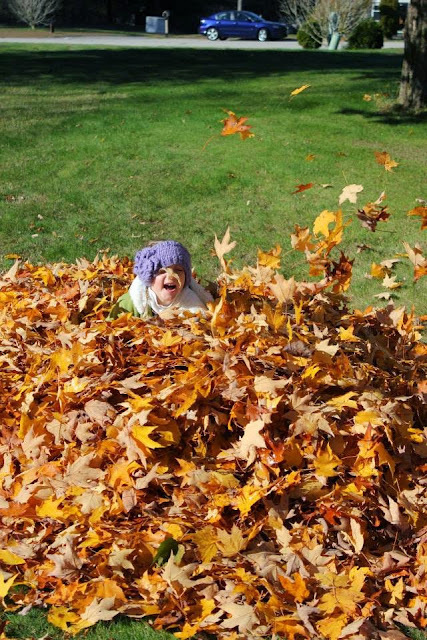 Looking at the world through your eyes is one of my life's greatest joys. 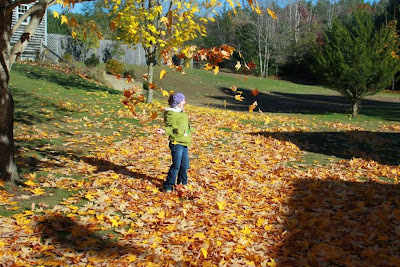 To you, they're not just scattered leaves in a yard. They're a multicolored playground & infinite smiles. 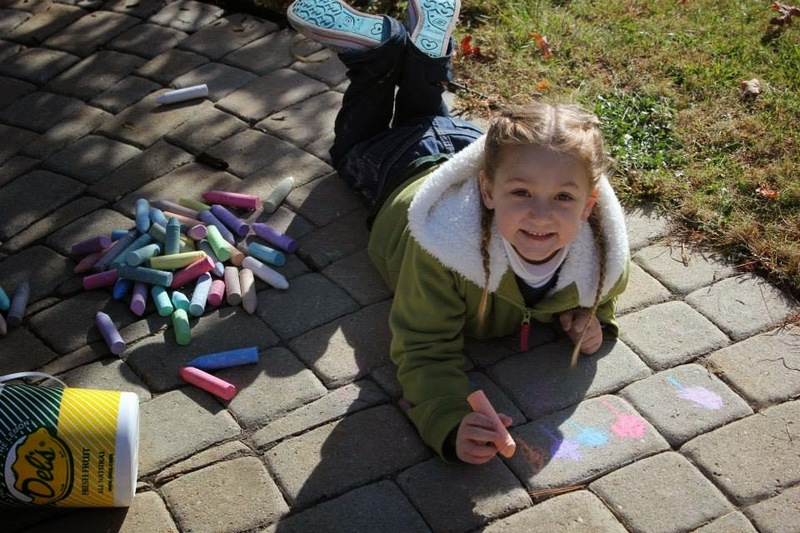 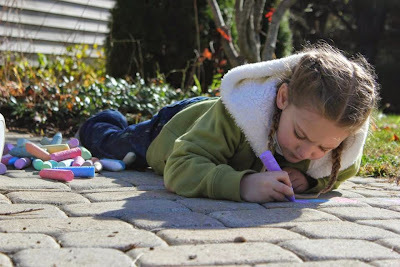 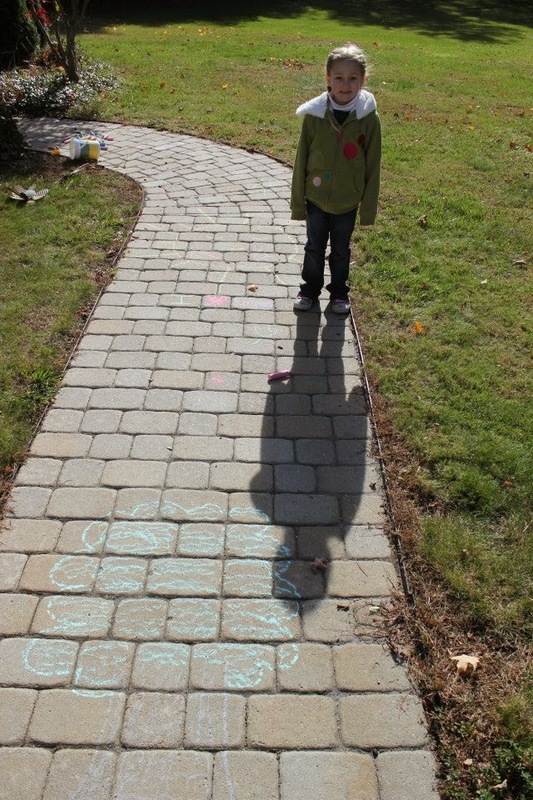 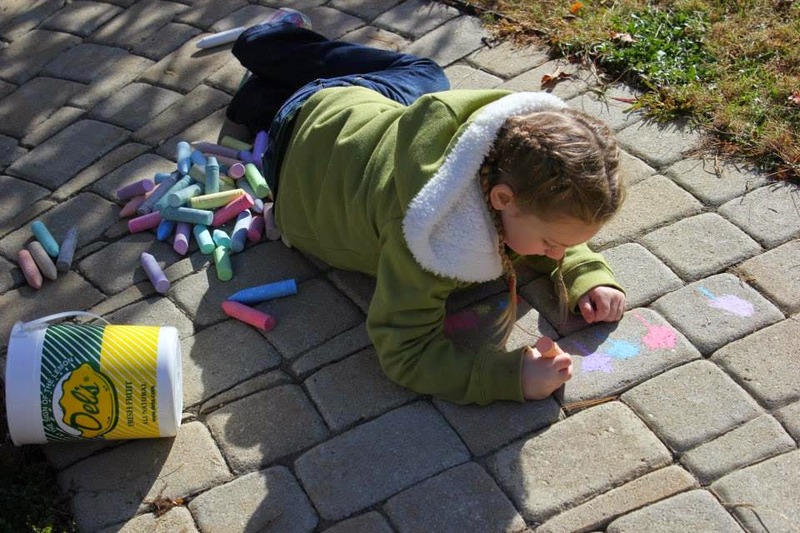 Our front yard doesn't just hold a walkway, it holds a canvas for your art. 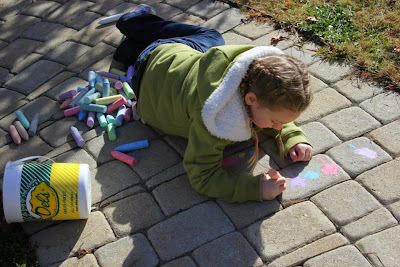 There's an afternoon of fun just waiting to be had in the ordinary of our front yard. I love that you see that. 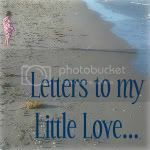 I hope you always will.